The Panama Papers showed that tax avoidance takes place on a large scale. 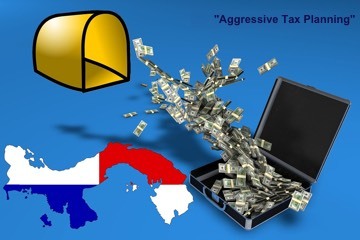 Taxation strategies of some large MNE’s involve aggressive tax planning, including transferring profits and using artificial structures in combination with tax havens to achieve lower taxes and larger profits as a result. Putting this into a CSR-context, such tactics can be seen as immoral strategies. - On the one hand, taxes are like any other costs for a company. High taxes are responsible to force defensive behaviors. Here are some problems, when we're thinking about Corporate Social Responsibility in relation to taxation.